Doubleknot's mobile checkin app for iOS scans and validates tickets, checks in attendees and records attendance for events configured in Doubleknot. You can scan any kind of Doubleknot ticket that uses a QR code. 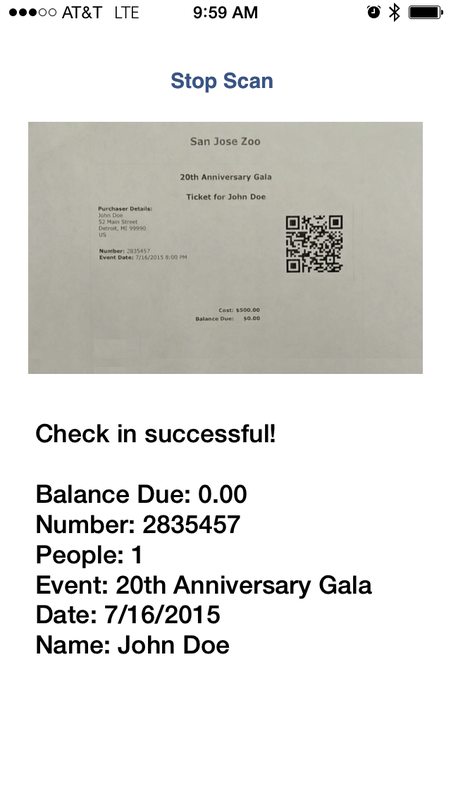 Visitors can print their tickets or display them on their smartphones (including adding the tickets to Apple Wallet). The Doubleknot Checkin app only works on tickets generated by Doubleknot, and you must have a valid Doubleknot logon to use the app. If you're a Doubleknot client and you want to use the Doubleknot Checkin app for iOS, follow these procedure to download, configure and use the app. In Doubleknot, configure the event, facility or program to issue group or individual tickets, and to print a link to the ticket on the receipt. Complete information is located in the User Manuals section or in Doubleknot's comprehensive searchable online help. On your iOS device, download and install the Doubleknot Checkin app. If you're viewing this page on your iOS device, click here to download and install the app. Or, go to the App Store on your iOS device and search for "Doubleknot." On the iOS device, open Settings. In the Allow Checkin to Access section, make sure Camera is enabled. If you're checking in attendees in a location without Internet access, make sure Use Cellular Data is enabled. In the Username field, enter your Doubleknot user ID. The user ID must have event management privileges. Check with your organization's Doubleknot administrator if you're unsure whether you have the right privileges. In the Password field, enter your Doubleknot password. Hold the iPhone or iPad so that the QR code is displayed. The app will automatically scan the QR code. If you hear a beep, the ticket has been successfully scanned and information about the ticketholder is displayed. If the message "Unauthorized" is displayed, the logon account you used does not have event management privileges. 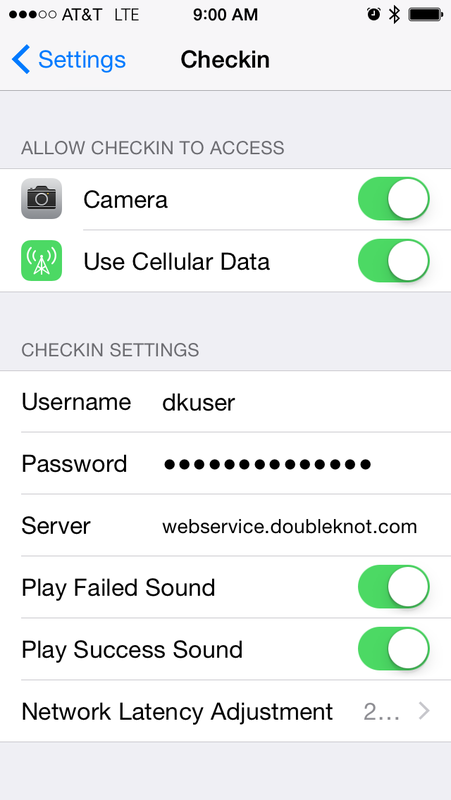 If you have any questions or would like more information about Doubleknot Checkin for iOS, contact Doubleknot support at http://support.doubleknot.com or send an email to doubleknot@doubleknot.com.